NEW Arrival Promotion!!! 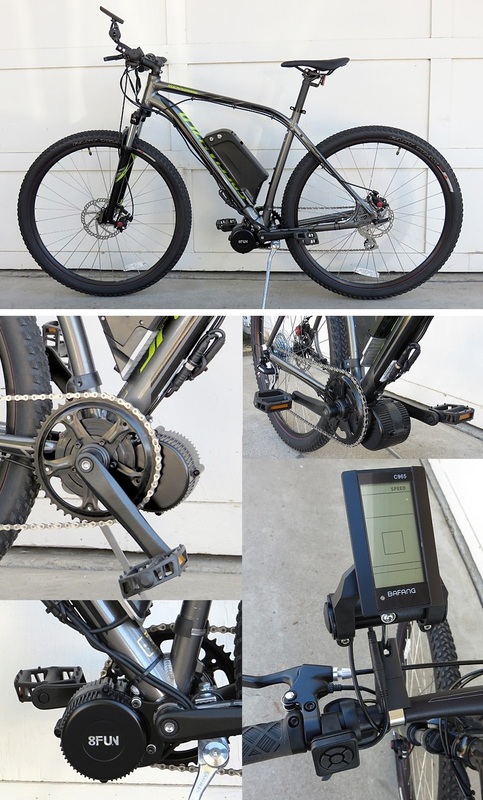 BBSHD Mid Drive kit is light but strong(Rated 1000W and Max Torque 160 N.m) and efficient which greatly enhances riding comfort and is suitable for touring bikes and commuter bikes. This mid drvie provides powerful ebike performance meanwhile keeps the original pedaling in comfort. With an integrated speed sensor, this mid-drive motor is compatible with standard bikes. 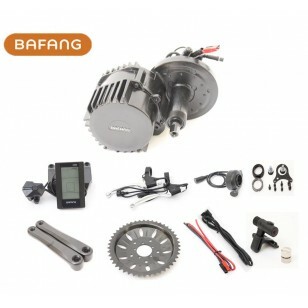 1 pcs 48V 100W BBS02 Bafang Central Motor with integrated controller. 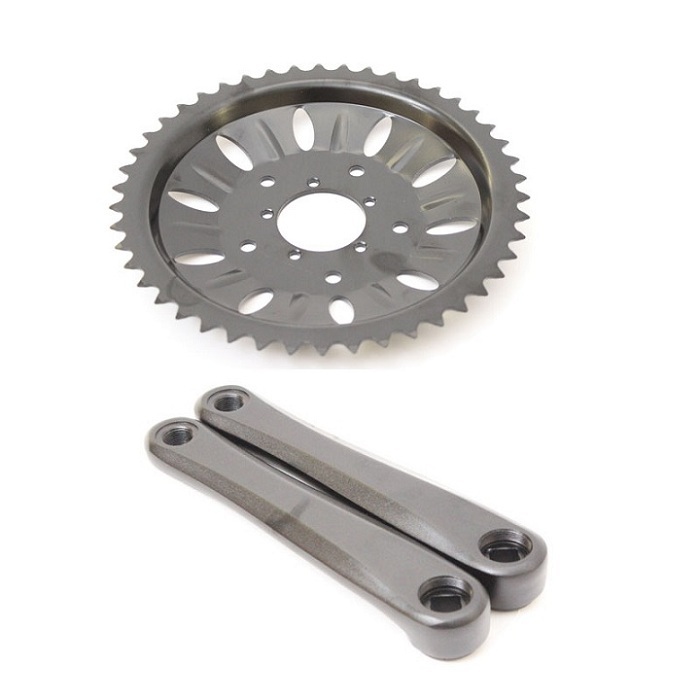 1 pcs chainwheel. 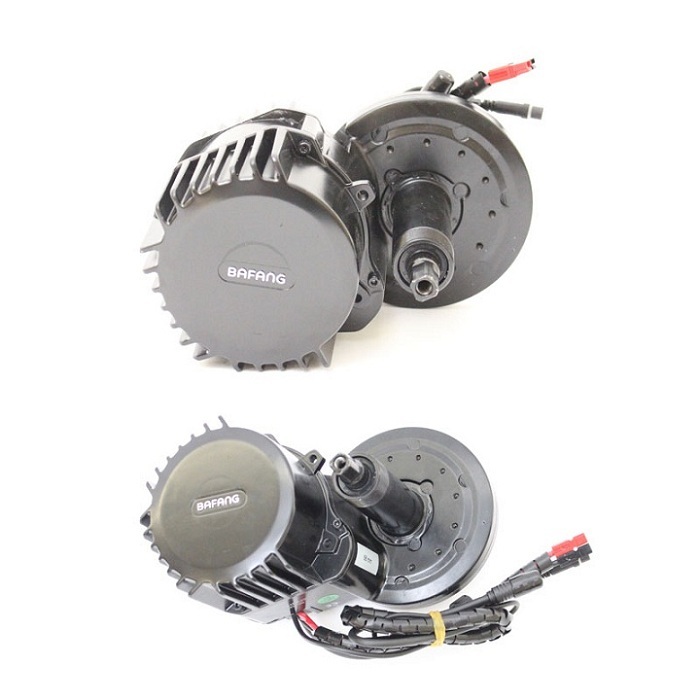 We recommend to choose relatively small chainwheel if the kit will be used in hilly areas. 1 pcs EB-Bus Waterproof interconnecting cable. suitable for 48V battery, LVC by integrated controller(low voltage cut off): 41V. speed limit can be set via the display (model dependent), it is not possible to completely remove the speed limit, but you could set the wheel size to be smaller than it really is, to trick the kit into measuring a lower speed and effectively increase the speed limit. 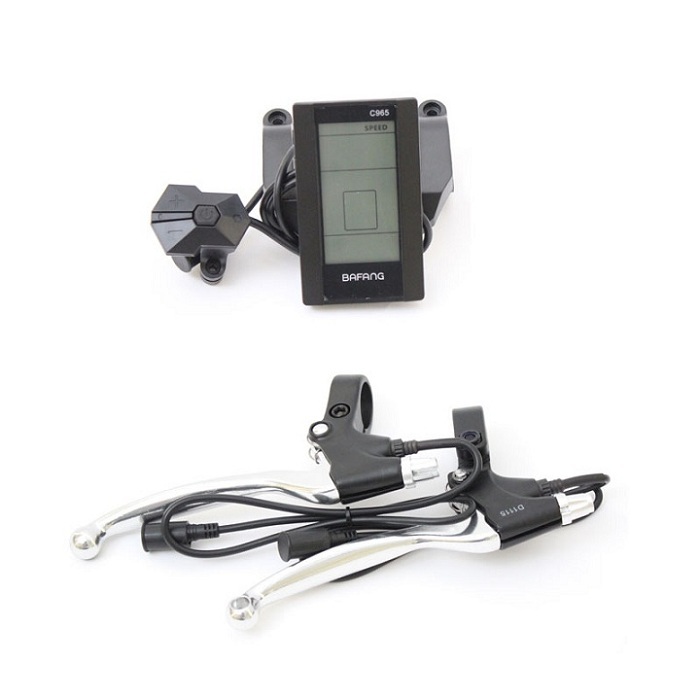 Of course the indicated speed will no longer be correct and this 1000W kit is only really powerful enough to reach speeds in the region of 40km/h on the flat. 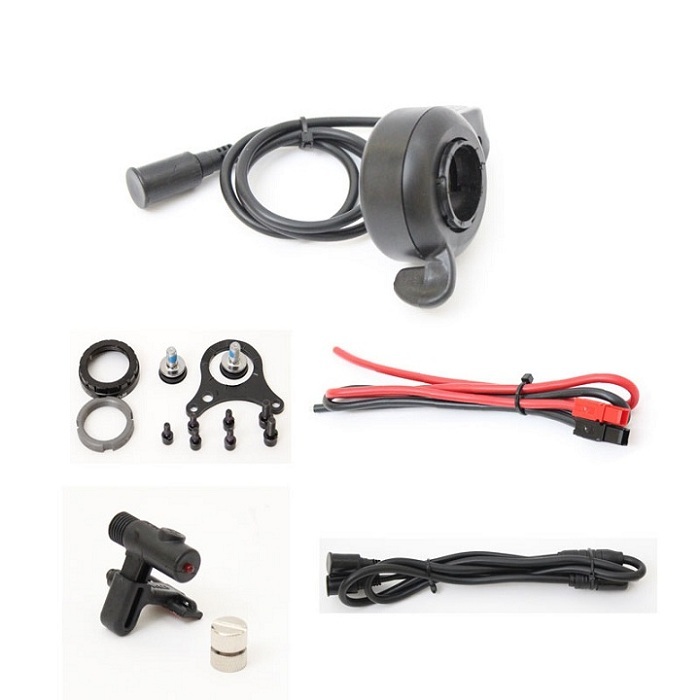 HOW DO I KNOW IF THE MID DRIVE CONVERSION KIT WILL FIT MY BIKE? This Mid Drive Kit is designed to fit bikes with a 68mm or 73mm width bottom bracket shell(most mountain bikes in this length). This encompasses the vast majority of bikes excluding some newer high end bikes with an Integrated Bottom Bracket. BTW, Fat tire Bikes are with a 100mm or 120mm width bottom bracket shell and please use please use 100mm or 120mm versions of BBSHD kit accordingly.